Ten months after being taken off the release schedule, “The Croods 2” is being revived by Universal Pictures and DreamWorks Animation, and has been set for release on September 18, 2020. 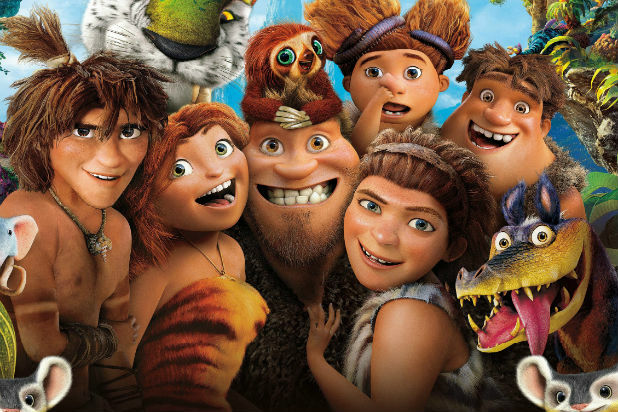 The sequel to the 2013 Oscar-nominated caveman film will see Nicolas Cage, Emma Stone, Ryan Reynolds, Catherine Keener, Cloris Leachman and Clark Duke return to the cast in a sequel that will see The Croods encounter another prehistoric family. Leslie Mann will also join the cast. Universal and DWA also set a release date for “Spooky Jack,” which has Blumhouse Pictures CEO Jason Blum attached as executive producer. Written by Robert Ben Garant (“Night at the Museum”), “Spooky Jack” follows three siblings who move into a house filled with paranormal creatures, including leprechauns, Bigfoot, and a shy Boogeyman. Damon Ross will produce for DWA, and the film will be released September 17, 2021. The next DreamWorks Animation release will be “How to Train Your Dragon 3,” which hits theaters March 1, 2019, followed by “Everest” on September 27, 2019. Sequels for “Trolls” and “The Boss Baby” will be released in 2020 and 2021, respectively. A look at top animated moneymakers as of June 2018, from "The Lion King" to "Zootopia." The numbers are not adjusted for inflation. Director Brad Bird mixed a love of gourmet French cuisine with talking rodents in the 2007 fancy feast. Dreamworks' 2014 sequel upped the ante with bigger dragons and longer flight sequences. The success of Jack Black's 2008 martial arts-meet-spongy mammal movie set into motion its inevitable -- and even more profitable -- sequel. 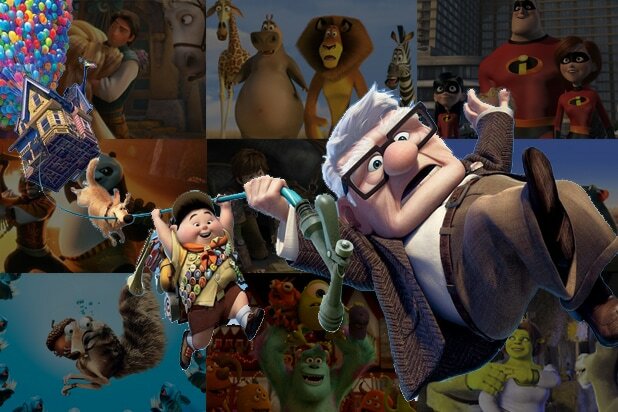 In 2004, Brad Bird's first Pixar outing wowed audiences with complicated animated action scenes, cross-generational comedy and superhero mayhem. Illumination's animal-karaoke musical crooned its way onto the list. Disney's Hawaii-set movie scored two Oscar nominations, for Best Animated Feature and Lin-Manuel Miranda's song "How Far I'll Go." Disney's 2014 robot tale combined anime aesthetics, superhero action and Pixar's heart. Fox's 2006 prehistoric romp proved the success of the first was no fluke. With the franchise's skills proven, DreamWorks Animation gave the world another hit of comedy with this animated martial arts sequel in 2011. The 2009 fan favorite demonstrated that original ideas with big emotions could make big money. Ten years after the release of "Monsters Inc," Pixar sent fans back to school in a 2013 prequel. DreamWorks Animation's "Madagascar" series kept the studio afloat with a string of breezy successes, including 2012's third installment. The big green ogre's final chapter dropped in 2010. Made in 2007, this sequel proved there was still some gas left in this fantasy mash-up comedy franchise. Directed by Lee Unkrich, this animated film captured everyone's hearts and even won the Academy Award for Best Animated Feature in 2018. Disney Pixar hit the home run again with this animated feature film about the emotions inside your head, starring Amy Poehler, Mindy Kaling and Bill Hader. Universal/Illumination's story of dogs seeking out adventure while their owners are away charmed its way onto the list. Profits abound for this 2012 fourth installment in the chilly prehistoric franchise, followed just behind it's predecessor. While other films have made bigger waves in the States, international sales have always returned big money for Fox's "Ice Age" franchise, proven again by the 2009 entry. DreamWorks Animation proved to be worthy Pixar competition with its successful "Shrek" franchise. "Finding Nemo" was something of a second-wind for Pixar, solidifying the company's place as the titans of modern animation. Can you feel the love tonight for this Disney animated classic? Illumination's sequel managed to make more money than its predecessor and put the upcoming "Minions" spin-off into motion. Disney charmed audiences in 2016 with its cop thriller pairing a rookie rabbit cop and a wily fox informant. The sequel to "Finding Nemo" swam right back into audience's hearts. Illumination's follow-up -- featuring Gru's blond-haired brother -- became the franchise's biggest grosser. Built on Pixar's critical and commercial goodwill, the third installment in the mega-franchise brought in big profits. The little yellow helpers crossed the $1 billion mark at the end of August, raking in more money then "Despicable Me" and "Despicable Me 2" for Universal Pictures. The superpowered family sprung back into action a full 14 years after the original -- but far surpassed the original film's box office haul.